George IV‘s brother William visited Brighton many times as the Duke of Clarence before succeeding to the throne in 1830, but he made his first official visit as King on 30 August 1830 when a triumphal floral arch fifty feet high was erected at the northern entrance to the Royal Pavilion. 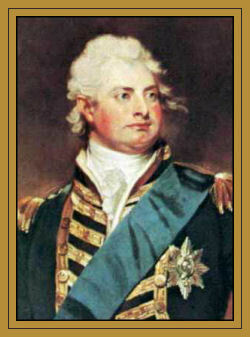 William IV enjoyed Brighton very much, staying in the town every year during his reign, and with Queen Adelaide would often stroll along the Chain Pier, ride to Rottingdean, and walk through the Kemp Town gardens and slopes. He also further developed the Royal Pavilion and grounds, officially redesignating it the ‘Royal Palace, Brighton’.